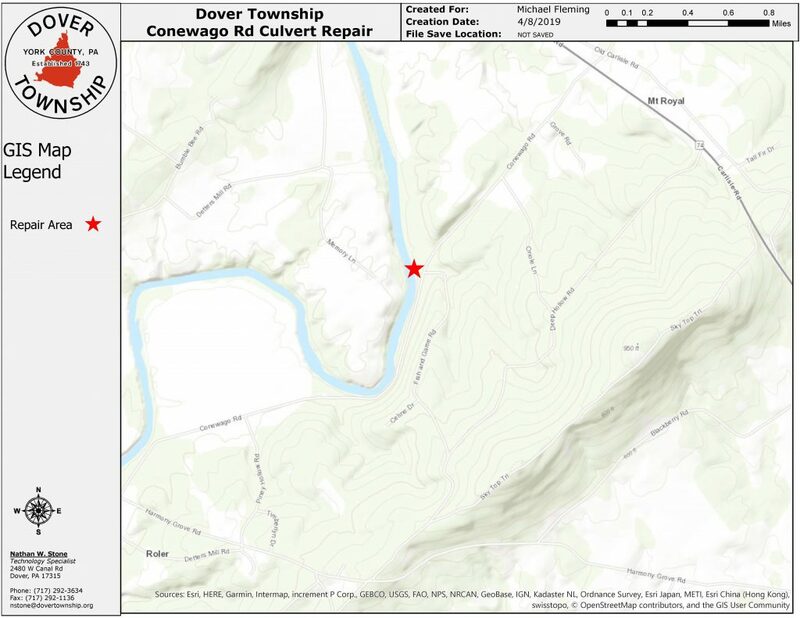 Weather permitting, a contractor will begin the pipe replacement on Conewago Road near Fish & Game Road on Monday, April 15th, 2019. The road will be closed to all vehicles during this 6 week period. Final paving is scheduled to be completed on or before Friday, May 24, 2019. Delays should be anticipated on Fish & Game Road also. The contractor is aware that Conewago Road occasionally floods so he needs to maintain traffic flow on Fish & Game Road throughout the project.